PGE provides a wide range of geotechnical laboratory testing in its well equipped facility. 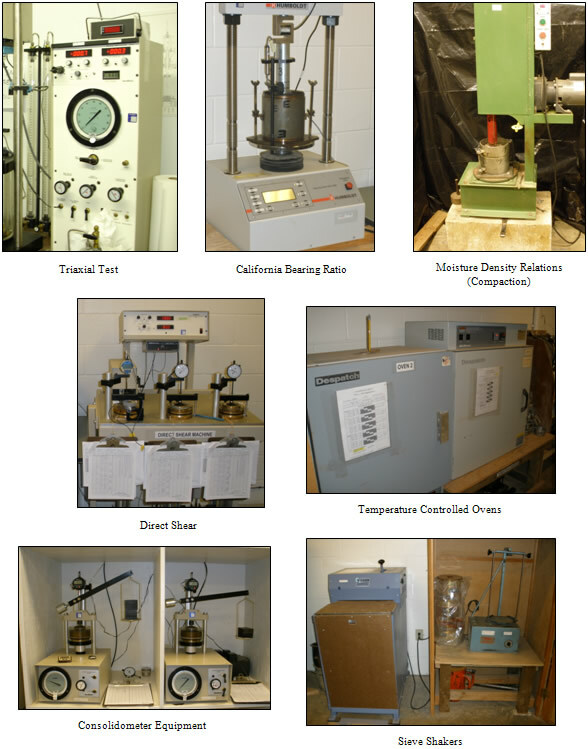 PGE’s laboratory is capable of performing a broad range of testing from basic soil classification tests to more sophisticated triaxial and direct shear tests. PGE’s laboratory is accredited by the American Association of State Highway and Transportation Officials (AASHTO) as a certified laboratory under the AASHTO Accreditation Program and participates in AASHTO laboratory proficiency testing program.